The annual Women in Real Estate (WIRE) Conference was held on 14 November at the Sydney Masonic Centre. As always, it featured a brilliant line up of guest speakers, including ABC journalist Lee Sailes, and Spotify Managing Director Jane Huxley. The theme of this year’s conference was the future of real estate. Among the speakers was Robyn Gleeson, from Elders Port Macquarie. Robyn has over 20 years of experience in the real estate industry, and manages a large team of 36. She’s been the Principal of Elders Port Macquarie since 2004. Under Robyn’s management, the team have achieved numerous awards including “Elite Status” for the property management team 7 years in succession. Elders Port Macquarie is justly considered an Elders flagship franchise, and has gone from strength to strength under her steady hand. Last year, Robyn became General Manager and Licensee and the business was bought by David Gray. Covering every aspect of real estate, Elders Port Macquarie has recently opened a second office in Crescent Head, ramped up its social media presence and cemented its strong emphasis on personal development. Robyn spoke on the topic of wellness and culture, sharing the ways in which her leadership promotes wellness in her business. “As leaders”, Robyn says, “we need to introduce things into our business which help people in all aspects of their lives. Wellness and culture are things I’m very passionate about, and so we promote that wellness culture every day”. The initiatives at Elders Port Macquarie start early – literally. A 6 am Thursday bootcamp sees many of the staff on the beach, where they do team building exercises, practice yoga, and “turn into eight year olds. It’s a lot of fun!”. The office promotes healthy eating habits as well, with Robyn going regularly to the local fruit markets to make fresh produce available to the whole office. “We help each other to make healthy choices”, she explains. “My theory is that you have to lead from the top and be a role model”. Robyn also encourages guest speakers to come and speak to the staff, from nutritionists to personal trainers and wellness coaches. 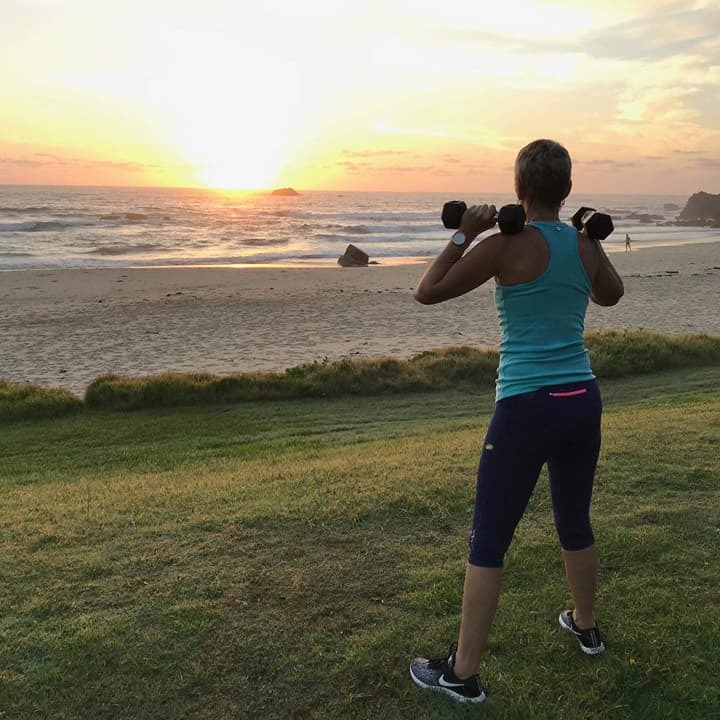 It’s not just physical health that Robyn promotes within the Elders Port Macquarie office. She also supports her staff in finding a balance that protects their mental health. “Real estate can mean a lot of pressure”, Robyn says. “I encourage people to be kind to themselves. Find something outside work that you love and is going to be very kind to your mental health”. For Robyn herself, that’s yoga. “I do a lot of yoga. Strong body, strong mind”. As for people starting out in the industry, Robyn’s top tip is to stay resilient. “Put on your teflon coat”, she laughs. “You have to be prepared to get up the next morning and have another go. One bad day doesn’t mean a bad life. Be resilient, and move on”. She also warns that real estate isn’t suited to the sluggish. It’s a fast paced environment that needs a lot of energy. Robyn is always at her desk at 7.30 in the morning, and has usually hit the gym beforehand to keep her energy levels up. “It’s not a nine-to-five job”, she says. “Even when you go home, you’re on line. You don’t stop”. But it’s that energy and pace that keep her interested. Robyn moved across from the banking industry some 21 years ago, starting a love affair with real estate that continues to this day. “I love that it’s a people industry”, says Robyn. “I love the customer interaction. Once you get into it, you get absorbed. It’s quite addictive”. Robyn’s passion and enthusiasm for her role shine through, and the many awards she and her staff have won are testament to her approach.